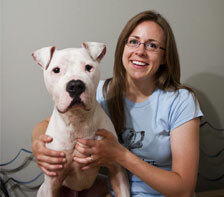 Carey McKeon Pearson, a Midwest native, is a psychologist, dog-lover, and avid community volunteer. She and her husband David reside in Edina, MN, and are the parents of two grown children, Colleen and David. Completing the household are two unruly pups, Rags and Quinn. Patti Nero Kivestu is a writer and editor whose work has appeared in national publications. Hailing from Boston, she and her husband Peeter currently live in Edina, MN, and are the parents of two grown children, Kenton and Chloe. 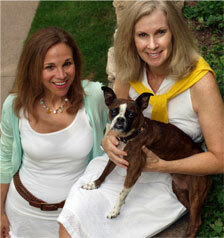 Like her coauthor and good friend, she has fallen under the charm of a certain snaggle-toothed rescue dog named Rags. Sarah Thornton, a Minnesota-born artist, began drawing in grade school. Her love for dog-inspired artwork took root soon after adopting George, her rescue dog. A graduate of St. Olaf College with a major in biology, she found both joy and challenge in depicting Rags's journey from heart-tugging isolation to a loving family. See more of Sarah's work.